If one of the most frequently-used fixtures in your home isn’t doing its job, don’t call the plumber just yet. 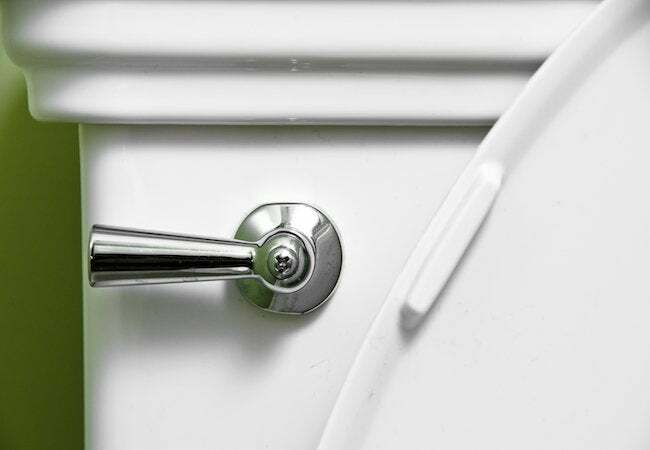 Here's how to do your own toilet tune-up without flushing extra money down the drain. Q: Help! My toilet won’t flush. The handle moves freely, but nothing happens when I press down. Can I fix it without calling a plumber? A: For what it’s worth, you’re experiencing an issue that happens at least once in almost every home. Luckily, it’s easy to narrow down the cause and find a fix that works for you! So, if your toilet won’t flush, just follow these steps to send your problem out to sea. First, check to make sure the water shut-off valve is turned all the way on. Occasionally, friction from a nearby object or a deep-cleaning session can nudge it to the off position, preventing water flow to the tank. This leaves just one or two flushes before the water level gets too low for the toilet to work properly. To see for yourself, look just behind the base of the toilet, a few inches from the floor. The valve should jut out slightly from the wall and be turned all the way to the left; if it’s not, twist the head counterclockwise, and then give it a minute to reset before trying to flush. Once you’ve restored the flow, your issue should be water under the bridge. If your valve has been wide open the whole time, it’s possible you’re dealing with a clogged pipe. Heavy paper products are usually the culprit here, and they can be dealt with easily. To clear things up, first make sure the water in the bowl isn’t high enough to overflow when you insert a plunger. (If it is, use a disposable plastic cup to ladle the contents into the bathtub. Follow up with 2 to 3 capfuls of bleach and a stream of hot water to wash everything down the tub drain.) Next, take a plunger and place its flange directly into the drain opening. Hold it in place to seal the drain while pumping up and down for 20 seconds. If the clog has cleared, you should be able to remove the plunger and flush right away. Prevent another problem by switching to a lower-ply toilet paper, and remember that flushing paper towels or other heavy products is pretty much asking for trouble. Still nothing? No big deal. Carefully remove the top of the tank and set it aside for a moment so you can check if your flapper—which is shaped like an inflated balloon and often red—is causing the backup. One that looks warped or damaged likely needs replacing. Luckily, this part usually costs less than $10 at your local hardware store and isn’t hard to swap out yourself. While the top of the tank is lifted, take a look at the lift chain that connects the flapper to the toilet handle. If your flapper shows no signs of a problem but there’s too much slack in the line, it won’t react when you try to flush. You can adjust the length easily for a better connection by slipping a different link over the hook at the lever end—leave just enough length so that the flapper can close completely, and nothing extra. Now, pushing the handle should cause the flapper to whisk water through the tank, into the toilet, and down the drain like it should. 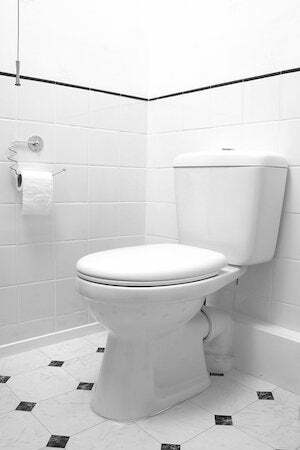 If your toilet still won’t flush, it’s probably time to call in a pro. Even so, you’re not necessarily in hot water. There are plenty of small issues a plumber can solve without much fuss or financial strain. Good luck!